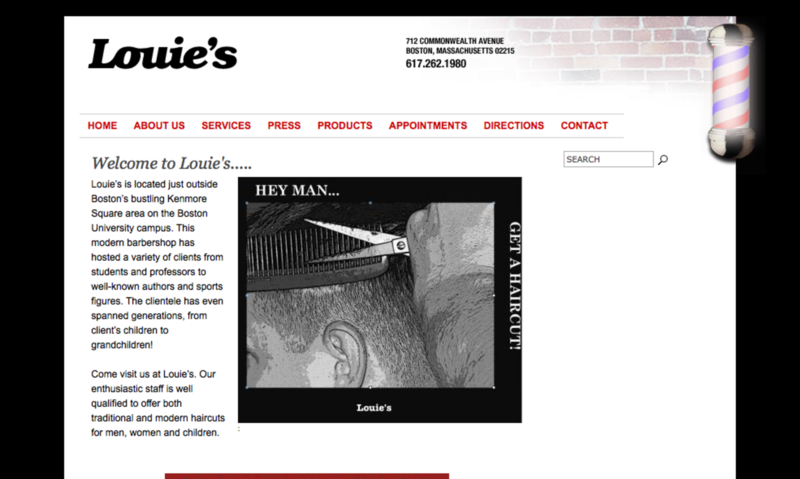 Project: This website was created to gain further awareness for Louies, promote products sold at the store, allow customers to make appointments, share press with customers, and provide directions and contact information. Summary: Louies is located just outside Bostons bustling Kenmore Square area on the Boston University campus. This modern barbershop has hosted a variety of clients from students and professors to well-known authors and sports figures. The clientele has even spanned generations, from clients children to grandchildren!